Every motion involves a strong opposing force of friction, which is to be managed successfully for continued motion of that object. However, friction does cause a huge amount of wear and tear, which in the absence of these bearings, will render the machine/ motor useless. Bearings work on a simple principle: Forklift Sprocket Bearing makes rolling of wheels smooth without any noise or disruption of its fluidity. Fork Truck Sprocket Bearings can be assumed to have large sized bearings, rolling on roads, enabling the car to move. Bearings, therefore, reduce friction with the help of smooth metallic balls or rollers placed inside a smooth and lubricated metal surface to roll on. These metal balls literally [bear" the load and allow the smooth spinning of the motor. The Forklift Sprocket Bearing CG Series Manufacturers Association (AFBMA) has set particular standards for bearing balls. A grade 3 ball for instance is required to be spherical within 3 millionth of an inch. The process is very similar in nature to the making of air gun pallets and plastic balls used in roll-on deodorants. Forklift Bearings, therefore, are small components that are indispensable, enhancing the movements of the forklift parts and allowing them to move smoothly. There are different kinds of forklift bearings available in the market. 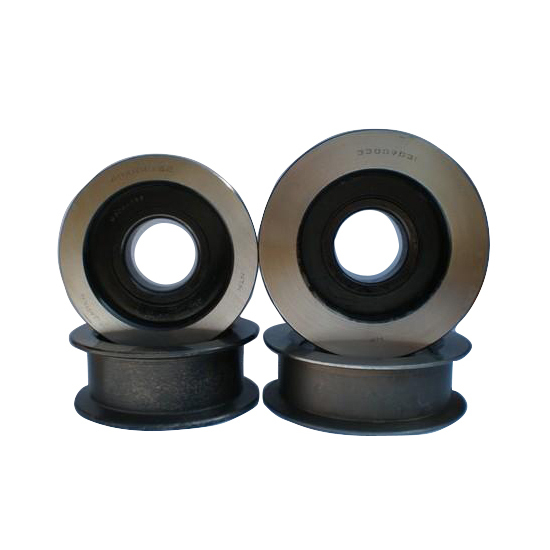 The differences are distinguished in their design and the actual purpose of the bearings. To ensure the quality of bearings, they are lubricated internally, making them last for a long period of time. Looking for ideal Forklift Sprocket Bearing Manufacturer & supplier ? We have a wide selection at great prices to help you get creative. All the Sprocket Shaft Bearing CG Series are quality guaranteed. We are China Origin Factory of Fork Truck Sprocket Bearings. If you have any question, please feel free to contact us.